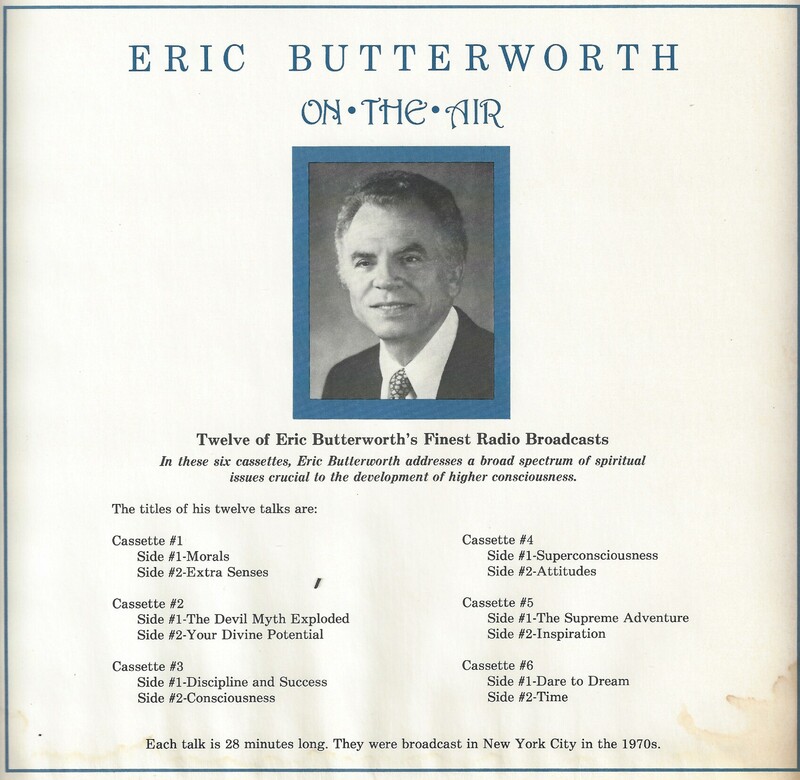 Here are twelve of Eric Butterworth's finest radio broadcasts. 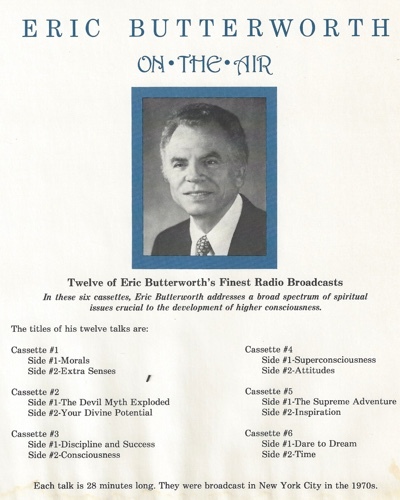 Each 30-minute audio recording explores a topic crucial to the development of higher consciousness, according to Eric Butterworth's perspective on spiritual development. Combined, they offer a solid foundation for the Truth student. The talks are so valuable that we have had them transcribed. So you may listen and read the transcript by clicking on any of the twelve links to the right.